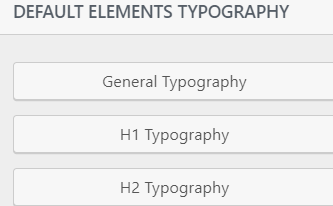 To change the global typography settings, you have to go to General Settings -> Typography section. Here you are presented a list of web fonts available for editing text sections within the website. 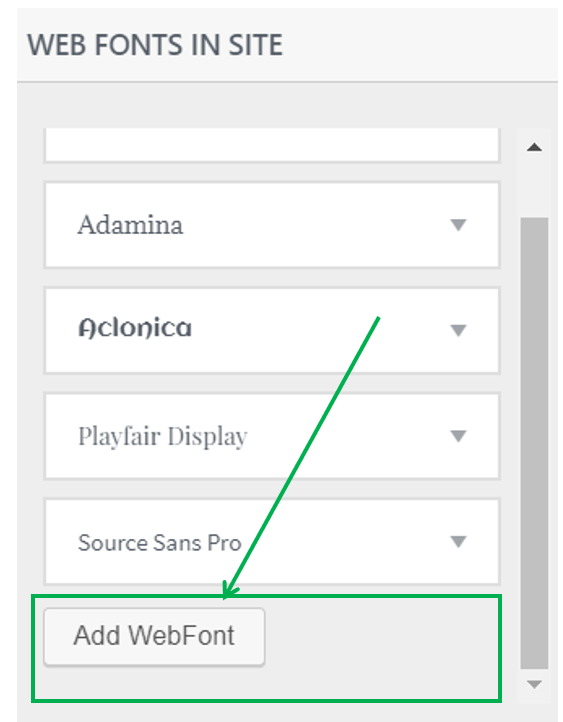 Add Web Font – Use this option to add a web font to your site; this will open a popup to search for a font and add it to the site. 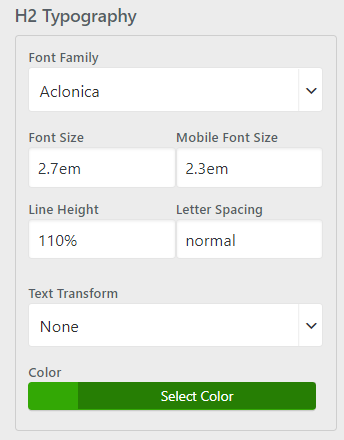 Once added, the web font can be applied to the text of your choice, from the content editing section. 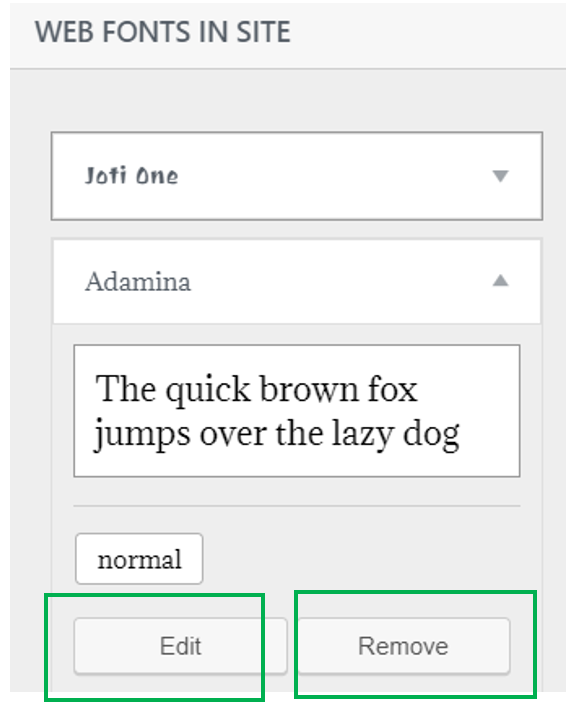 Edit – use this to change the font weights. Remove – use this to remove a certain font.